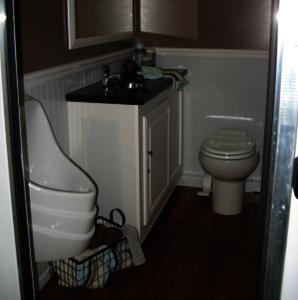 Our ADA compliant bathroom trailers feature luxuries not typically found in outdoor restrooms. Each unit has a men’s and women’s side, complete with beautiful wood-grain floors, sinks with Corian counter tops, as well as heat and air conditioning. 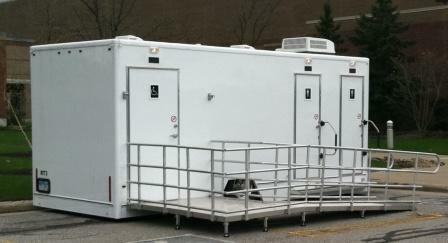 Each has a private stall, and the men’s side features a waterless urinal that helps cut water costs. If a water supply isn’t available, the unit includes a 200-gallon fresh water tank on board and a 400-gallon waste tank. Four separate 20-amp 110v standard electrical outlets are required. We can also provide a generator if electricity isn't available at your location. 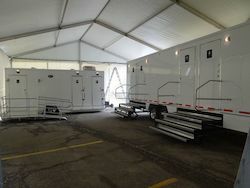 These units are ADA compliant and are great for outdoor weddings, corporate events and fundraisers in Ohio, Kentucky, West Virginia, Pennsylvania Indiana and Michigan. 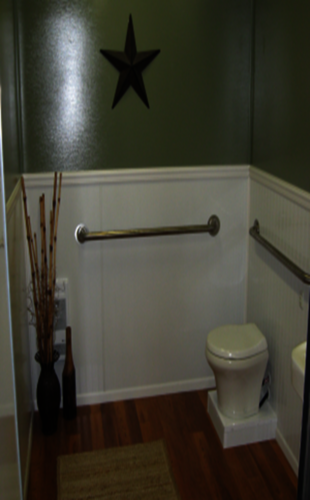 Contact us for more information about our handicapped bathroom trailers. Lakeland Community College in Kirtland, OH serves over 20,000 students annually, and hosts just one graduation per year every May.